Have you ever walked into a building and noticed you have “no bars” on your cell phone? Radio frequency (both radio and cellular) signals are greatly reduced when passed through dense building materials such as concrete and metal. 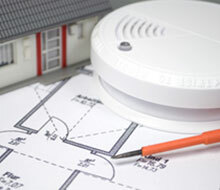 Since 2009, the International Code Council and the National Fire Protection Association have added first responder radio coverage requirements to their book of fire codes. 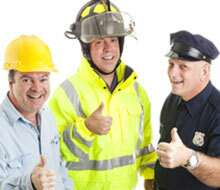 Many states and municipalities have begun enforcing these codes. 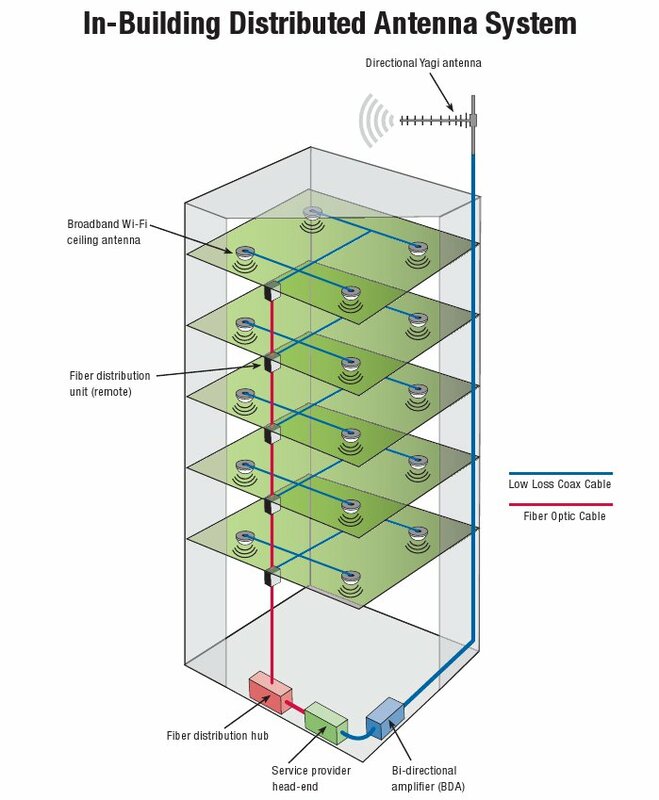 A BDA (Bi-Directional Amplifier) system is an in-building communication system that brings wireless signals into a structure from outside, amplifies those signals with a signal booster, and then evenly distributes the amplified signals throughout a structure via a Distributed Antenna System (DAS). More specifically, A Distributed Antenna System (DAS), is a network of smaller, spatially separated antenna nodes connected to the communications network. A DAS network splits the transmitted signal among several smaller antennas to provide coverage and reliability over the same area as a single cell tower antenna. DAS networks are effective in areas with difficult topography, structural impediments (e.g. buildings, or within buildings), or in locations where, for a variety of reasons, it is not optimal to build a traditional macro sites. 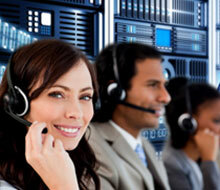 Many buildings are unable to receive cell phone and emergency radio signals throughout their facilities. The National Fire Code has urged jurisdictions to create guidelines requiring distributed antenna systems in larger buildings so that emergency responders are able to use their radios to communicate during emergency situations. These systems allow radio signals to be received deep in the recesses of the largest and most complex facilities, and also ensure that cell phone signals are accessible for your employees, customers, and business operations. Whether you need a system for a new building or you’re retrofitting an existing building, or a national rolllout, Global Fire Technologies has the expertise to create the optimal wireless DAS system to fit your needs. We understand the technology, the needs of those who use it, and the complexities of regulations governing first-responder communications. 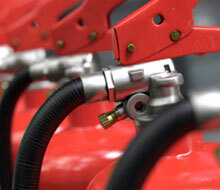 For more information and to speak with a Global Fire representative, please contact us today. Section 510.2 of the 2013 California Fire Code / 2014 Los Angeles City Fire Code shall be Interpreted to mean any existing building that undergoes modification, to the extent that the building’s fire alarm system must be replaced, or upgraded and re-certified and meets any one of the conditions listed above for new buildings under Section 510.1 of the 2013 California Fire Code/ 2014 Los Angeles City Fire Code.